Without financial contributions from parents and others in the community, Countryside could not support many of the activities and programs that make our school so special. 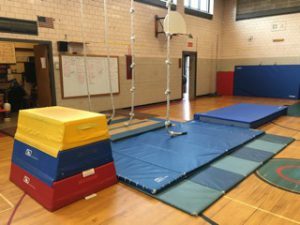 The PTO meets a critical need by funding programs, initiatives and supplies not covered in Newton’s School Budget. We support curriculum needs, fund enrichment programs such as the city-mandated Creative Arts and Sciences, and hold community-building events. 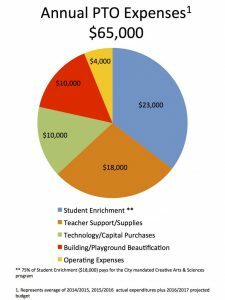 Our annual operating budget is close to $60,000, which is approximately $150 per student. We are able to meet most of our costs through two main fundraisers: the Annual Fund and the Rockin’ Raffle. How are PTO contributions used? Double or triple your gift at no additional cost to you! See our list of Massachusetts employers that match donations [PDF] or check with your company’s HR department to see if they offer a matching program. If you need to register the PTO with your company, our official name is “Countryside Elementary School PTO Inc.,” and our tax ID number is 201-936-829. Countryside PTO is a 501(c)(3) organization.